Unboxing/Review: Miles Morales Spider-Man One:12 SDCC Mezco Exclusive Action Figure – AiPT! 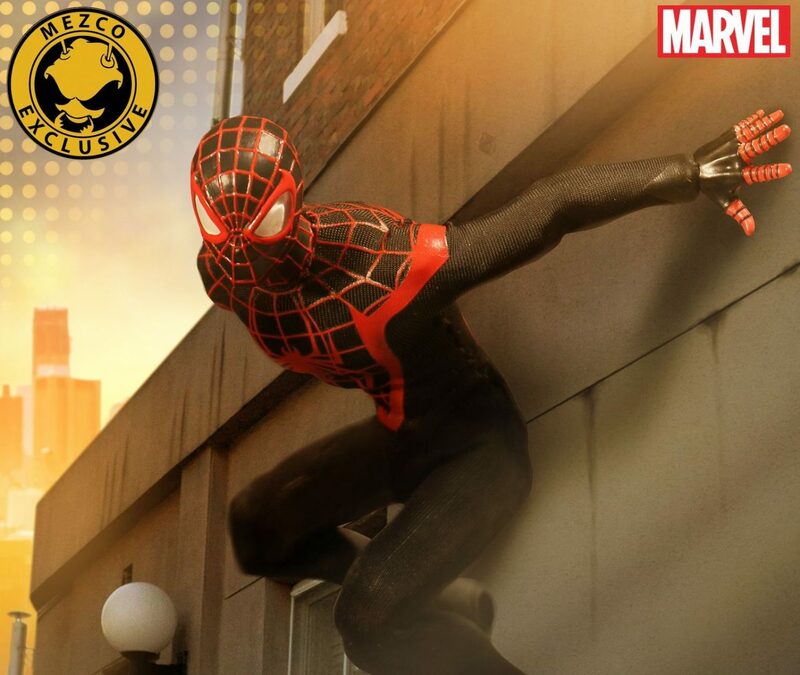 We review the SDCC exclusive One:12 Miles Morales Spider-Man from Mezco! We were lucky enough to peruse and report from SDCC 2017, where we got to see some of the best toys to be released on the floor and coming out soon. One of those toys was the Mezco Miles Morales Spider-Man exclusive, which was sold right on the show floor. At $80’s retail, this toy is of a high quality with a cloth costume, base and plenty of accessories. It’s also one of only a handful of Miles Morales Spider-Man figures that have been created. Take it from us, seeing this toy in the flesh makes all the difference, but maybe seeing it in our video can help! Check out our full unboxing and review below! So as you can see, we love the head mold, and the costume is well made and looks sharp. There are plenty of webs and the base is quite nice too. Mezco even throws in a handy bag to hold the extra hands and webs too. We really like this figure (and can’t wait to get our hands on the original costume Spider-Man, which should be shipping soon) and if you were lucky enough to grab one at SDCC you’re in for some fun posing! If you want this in your collection you can join the waitlist at Mezcotoys.com or if you want it now they do pop up on Amazon at a steeper price. Check back soon to see our review of the MezcoToyz X-Men Deadpool! An excellent figure with a great costume and fantastic head mold. We couldn't figure out how the webs attach!